This bufflehead--a species of duck that commonly winters in the East Bay--is one of the many seabirds affected by the mystery goop. 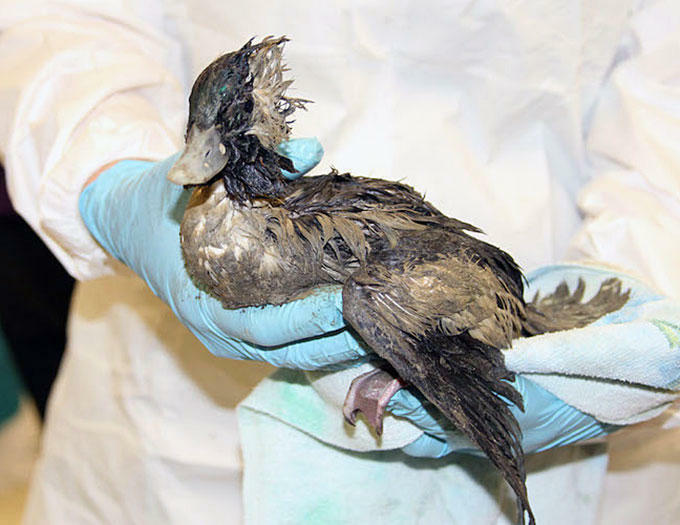 Scores of seabirds, coated with a strange, unidentifiable goo, have been found since Friday around San Francisco Bay. Most have been cleaned up and will survive, but the source of the problem remains unknown.